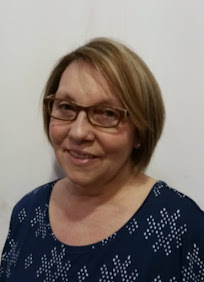 Shopping online is almost a hobby for me! 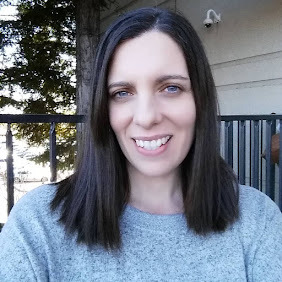 I love to find great buys with sales and using promo codes. 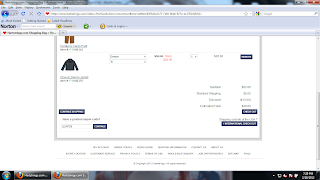 I will not shop at a online store unless there is some sort of discount. 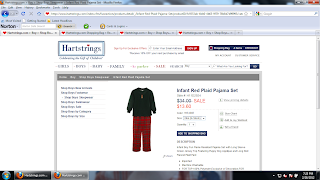 Call me frugal but I feel its a great incentive to shop at a companies online store. You can find promo codes for a brand on their website newsletters, twitter and facebook accounts. 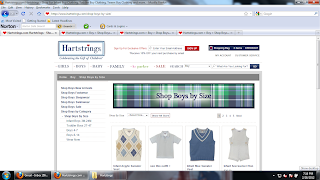 The site is easy to navigate and I can even shop by size. It makes it much easier to shop that way. I often find something super cute only to realize its not in his size. This way I can see what I can select from and it makes it much more enjoyable to put together an outfit. 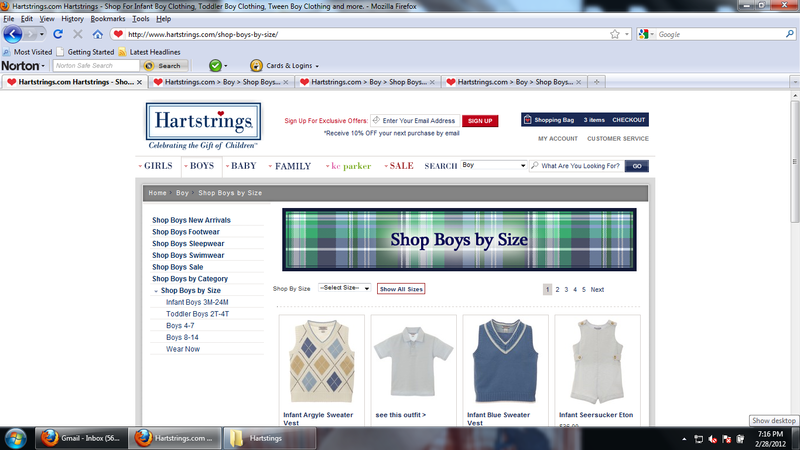 Hartstrings has super cute boys and girls clothing from size newborns to boys 14 and girls 16. 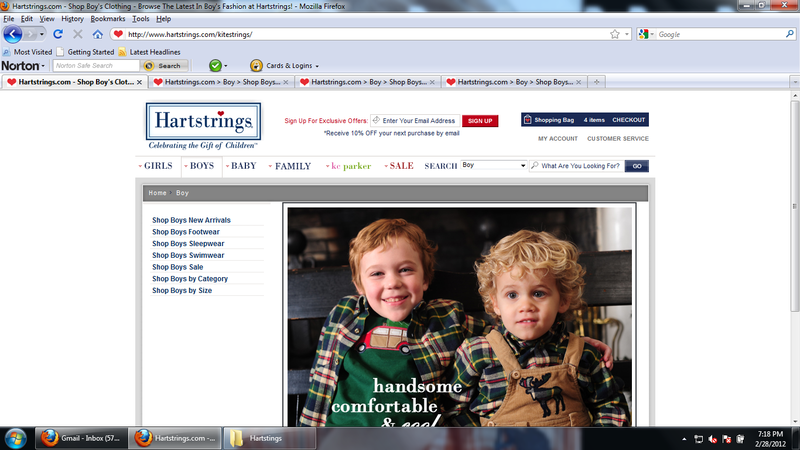 They have classic cute clothing for all occasions. 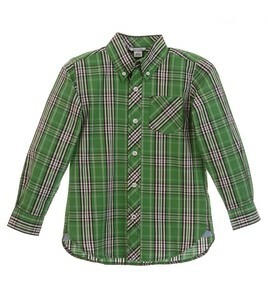 Casual and formal clothing that your little ones will look great in. I have been wanting to get my sons pictures taken again and wanted a new outfit for him but also something he could wear afterward. I have always wanted to get him a jean jacket but since he is growing like a weed I was never sure how long he could wear it. Now that he wears a 2T - 3T he seems to have stayed that size for this winter and upcoming spring. Corduroy has always been a favorite of mine. 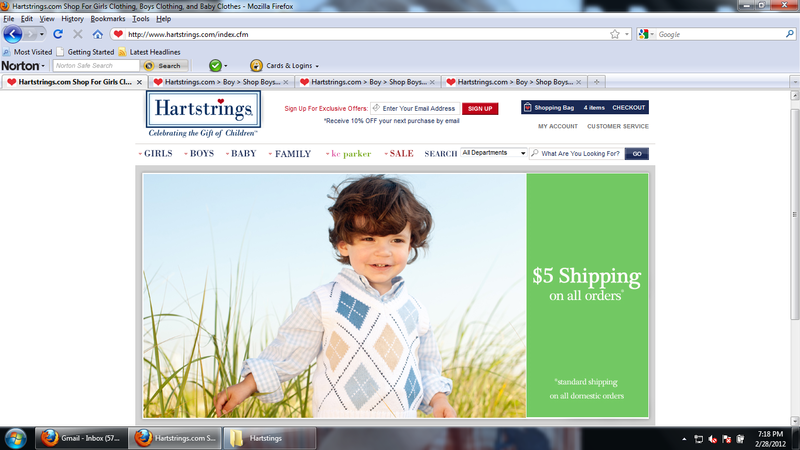 It has great texture and is just so cute on little boys. 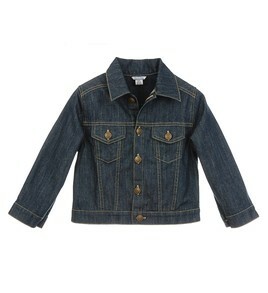 I found a great price on a classic denim jacket, tan corduroy pants and a green plaid button shirt to go with them making a nice outfit for my son. Plus I can mix and match the pants and jacket into his current wardrobe. I found these three items all on sale and used a Promo Code. 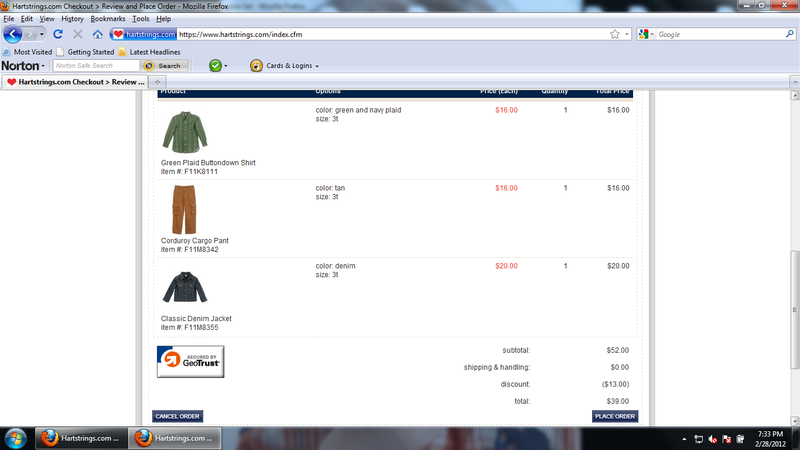 The total cost was only $39 for high quality clothing. With the code my total went from $52 to $39! This would be a great opportunity to purchase some Spring and Easter clothing for the upcoming holidays. 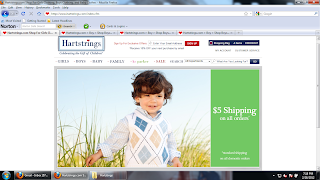 Many pictures will be taken and with Hartstrings your kids can look cute and stylish! 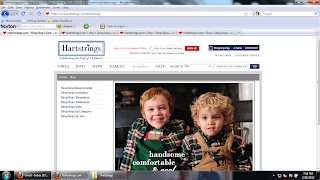 You can learn more about Hartstrings as well as keep up to date with sales and promo codes by following them on twitter and being a fan on facebook. 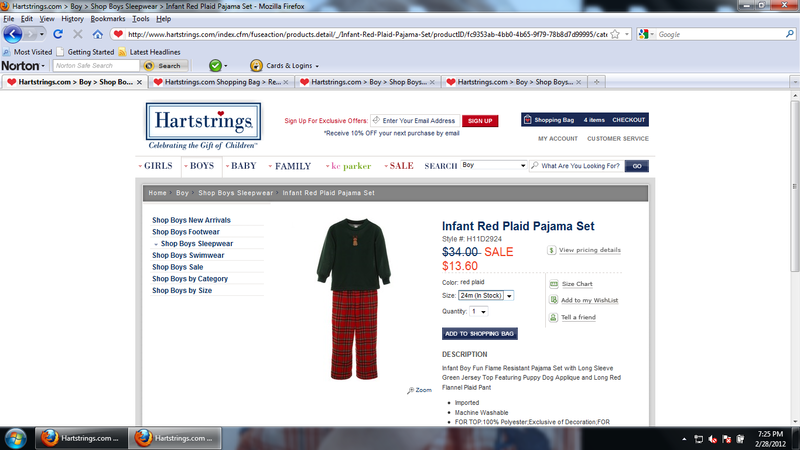 I even found super cute pajamas for only $13.60 before the 25% off. 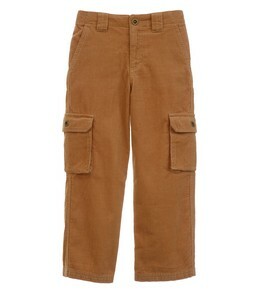 I would have gotten them too but they were not in my sons size. *This shop has been compensated as part of a social shopper insights study for Collective Bias.